Attention! Attention! Hot off the press! If you are a current customer at Lockaway Storage on Woodlake Rd you have an opportunity to earn credit toward your rent. 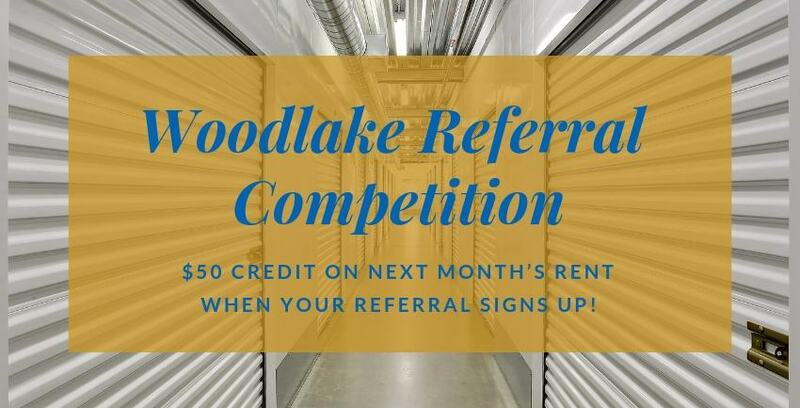 Come in and fill out a referral card and if the person you refer signs up for self storage with us, YOU get a $50 credit on next month’s rent! Hey, it’s a win-win in 2019! Me: Wait that means your storage bill could be significantly lower depending on how many people you refer? Me: There’s no limit to this? Corey: Nope, we’ll be doing this all year long. The next time you stop into Lockaway Storage on Woodlake Road, take some referral cards home with you or feel free to fill the cards out on the spot and give them back to Corey right then and there. Who knows, you could be ringing in the next new year with cash to spare! It’s easy to tell that Corey cares a lot about his customers, and putting on an event like this gives customers the opportunity to feel appreciated and also helps new renters. If you are interested in learning more or maybe becoming a first-time renter here at Lockaway Storage, click over to our storage options and let us help you declutter your life.